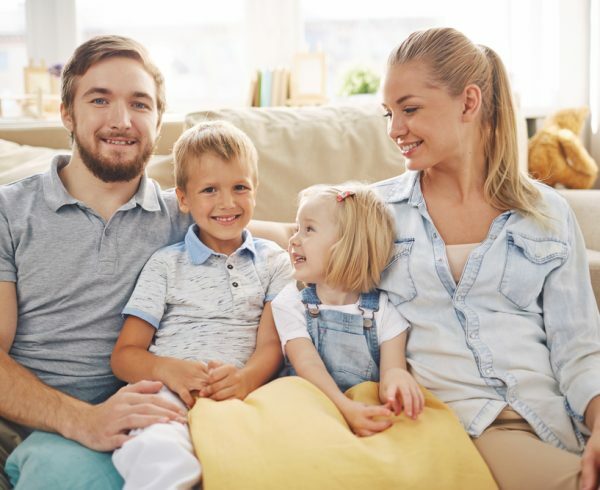 Mortgage base rates in the Eurozone fell to another record low in February, as new data shows that new mortgage lending rose in 2016 for the third consecutive year. 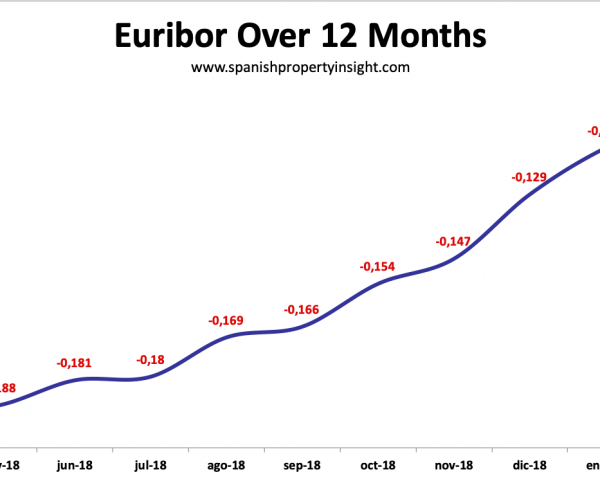 12-month Euribor – the rate used to calculate most mortgage repayments in Spain – came in at -0.106 in February, down from -0.095 in January, and the twelfth consecutive month of negative Euribor interest rates. 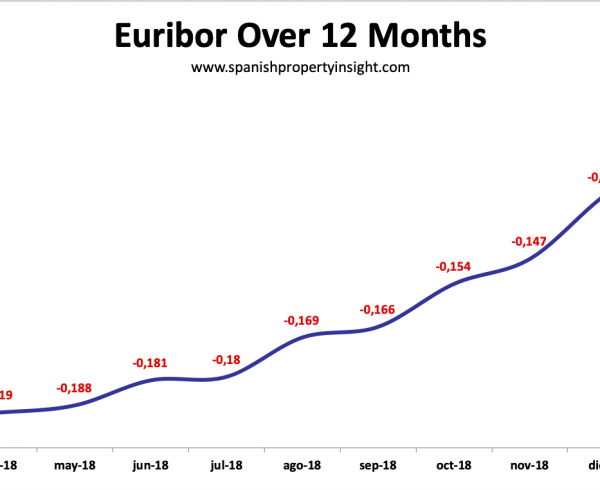 As a result, borrowers in Spain with an annually resetting Spanish mortgage will see their mortgage payments fall by around €5 per month for a typical €120,000 loan with a 20 year term. 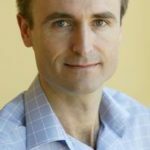 The latest data from the National Institute of Statistics reveals that new mortgage lending rose 14% in 2016 to 281,328 new loans. Mortgage lending has now risen for three consecutive years after seven years of declines before that. 2013 was the year of inflection for the Spanish property market, when both home sales and mortgage lending bottomed out. The average loan value also rose in 2016, up by 2.8% to €109,759.